Quick identification of plant pests, diseases, disorders, weeds and beneficials is vital to maintaining a profitable production nursery operating under an effective crop protection program. Over the years several variations of reference books and field guides have been used to identify plant pests and diseases, but these have had limitations. Previously members of the Australian nursery industry had access to the Pest Identification Tool but on the 1st of February 2019 this resource will be free for all to use as an ‘open access’ resource with the subscription base removed. It is an easy to use resource for all plant producers across horticulture that will help with pest identification and management. 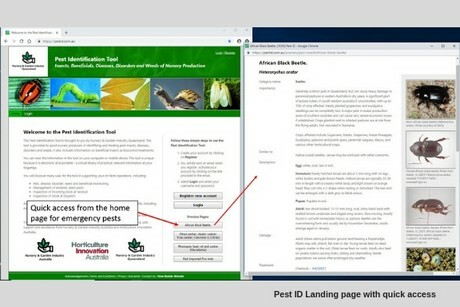 The Pest Identification Tool: Insects, Beneficials, Diseases, Disorders and Weeds provides users with information to help in identifying and treating the plant pest issues that they may encounter across the cropping cycle. 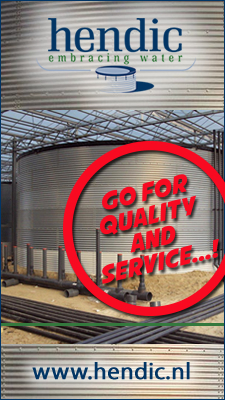 It was developed by Nursery & Garden Industry Queensland, with support and assistance from Nursery & Garden Industry Australia and Hort Innovation Ltd, and follows on from a previous project to transfer information from a hardcopy format to an electronic format for digital devices. It is also supported under the industry levy projects ‘NY15002-Building the resilience and on-farm biosecurity capacity of the Australian production nursery industry’ with the Queensland Department of Agriculture and Fisheries providing new information and photographs to expand the resource further and ‘NY15004 National Nursery Industry Biosecurity Program’ with NGIA and the National Biosecurity Manager providing development oversight and content direction. This resource is available online at www.pestid.com.au, and can be viewed on a computer, smart phone or tablet using the common operating systems of Microsoft, Android or Apple. It provides a virtual image library with over 3000 entries of practical, relevant information easily accessible, both in the field and in the office. 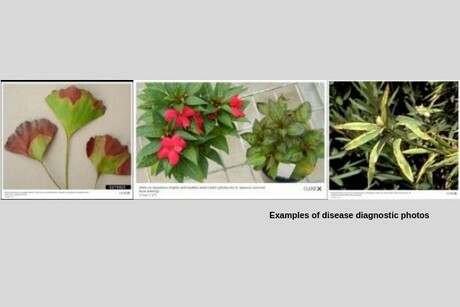 Photographs showing insects, disease symptoms, pest damage and the different life stages are provided to assist the user in recognising plant pests and plant diseases. 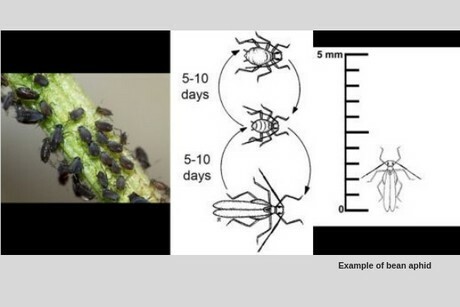 There is advice on diagnosing diseases, integrated pest management (IPM), beneficial insects as biocontrol treatments, insect pest life cycles and plant disorders. Information on emergency plant pests (insects & diseases) not yet present in Australia and pest plants (weeds) are included to assist in monitoring crops and early detection. 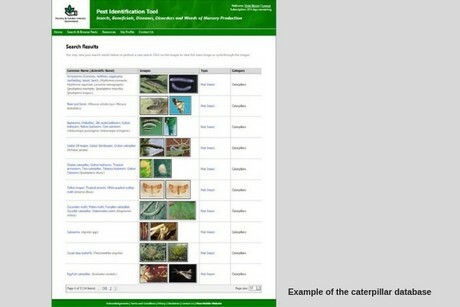 The database can be searched using pest name or keyword, or by the type of pest (pest, disease, nutritional disorder or weed), or by specific pest categories such as caterpillar, aphid, beetle, etc. All entries in a category can be viewed by accessing the individual databases. There is also an option to search specific crop types to identify plant diseases according to the host plant and its disease symptoms. Additional information and new photographs are added to the database weekly. This ongoing expansion of the tool will lead to an increasingly comprehensive, up-to-date and practical library of pest-related information for the Australian nursery industry and others in horticulture. 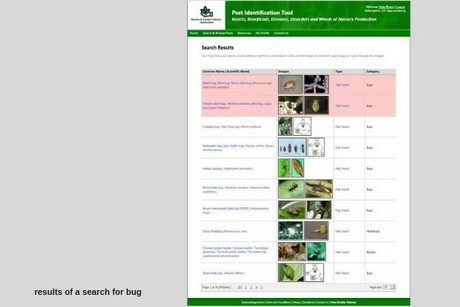 The Pest Identification Tool has been developed to support all on-farm operations and assist with biosecurity practices such as monitoring pests, diseases, disorders, weeds and beneficial insects, the management of endemic plant pests, the inspection of incoming stock at receival and the inspection of stock at dispatch. All primary producers in Australia should investigate this important new resource to discover how it can assist in farm biosecurity and the value it can provide to their business.